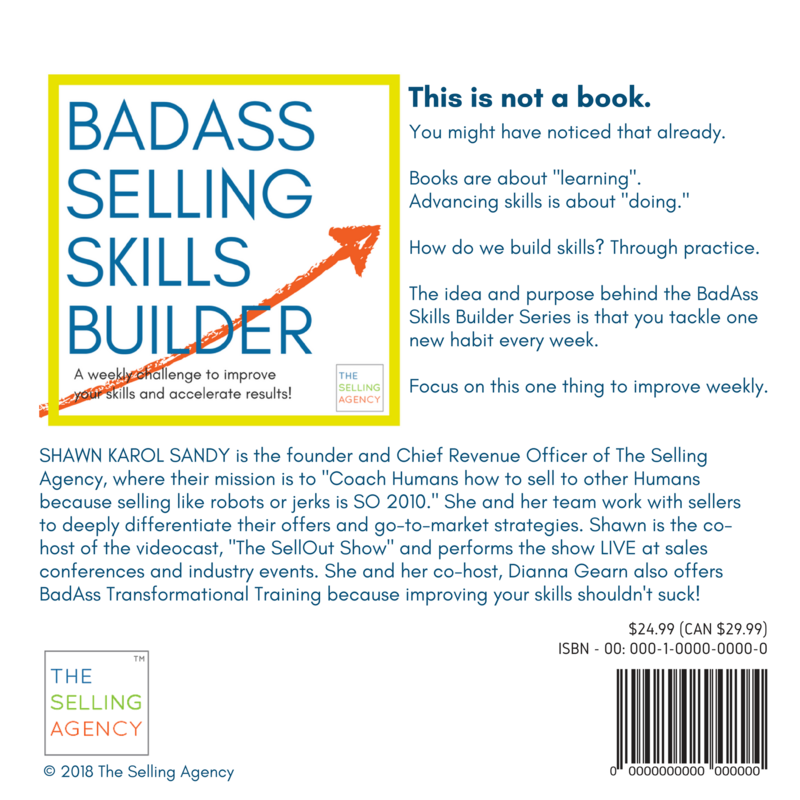 The BADASS SELLING SKILLS BUILDER is a self-training tool for salespeople that handle the full scope of sales: Master jugglers of prospecting, lead generation, negotiation, closing, and account management. The BADASS SELLING SKILLS BUILDER is a self-training tool for salespeople that handle the full scope of sales: Master jugglers of prospecting, lead generation, negotiation, closing, and account management. 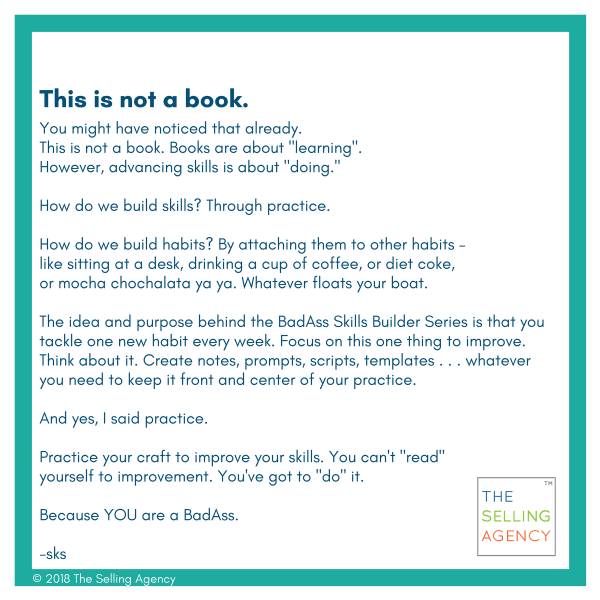 (Don’t worry – we have SALES LEADERS, SDRS, ENTREPRENEURS, et cetera – covered in another SKILLS BUILDER). 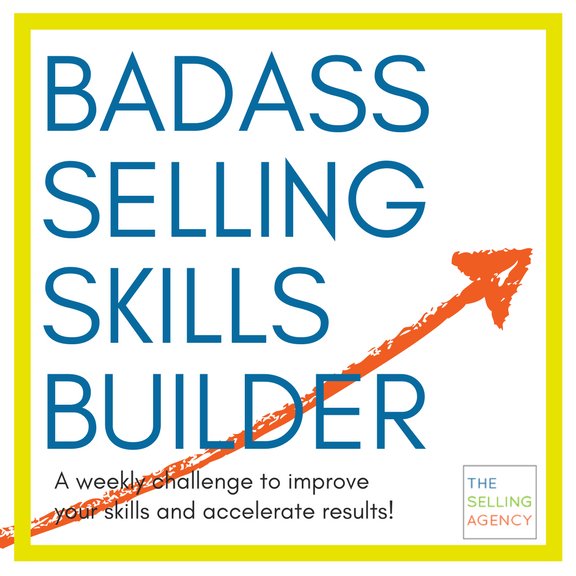 The idea and purpose of the BadAss Skills Builder Series™ is that you tackle one new habit every week. Focus on this one thing to improve. Think about it. Create notes, prompts, scripts, templates . 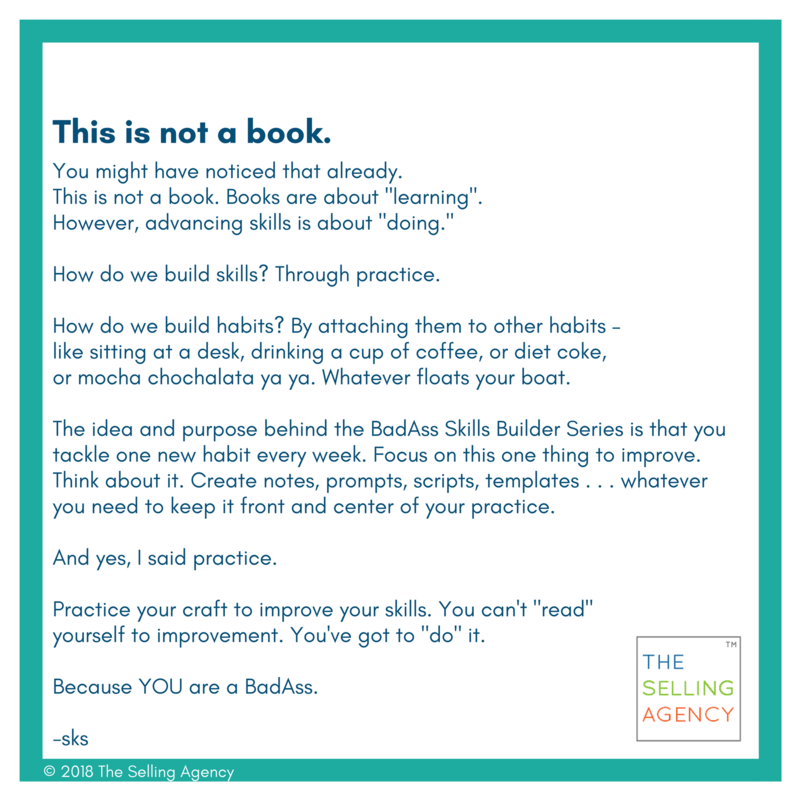 . . whatever you need to keep it front and center of your practice. Selling takes PRACTICE. Sales is a performance sport. You are paid to perform, right!?! · MINDSET: Work towards clearing the mental head trash – those self-limiting thoughts that undermine your success. · BIZ DEV: Practice skills to quickly gain buyers’ attention, become relevant, and valuable. · ADVANCING OPPORTUNITIES: Hone these skills that move deals forward faster – this is where you out-sell your competitors. · PRODUCTIVITY: Organize and manage your workload so your priorities are always advancing your results. 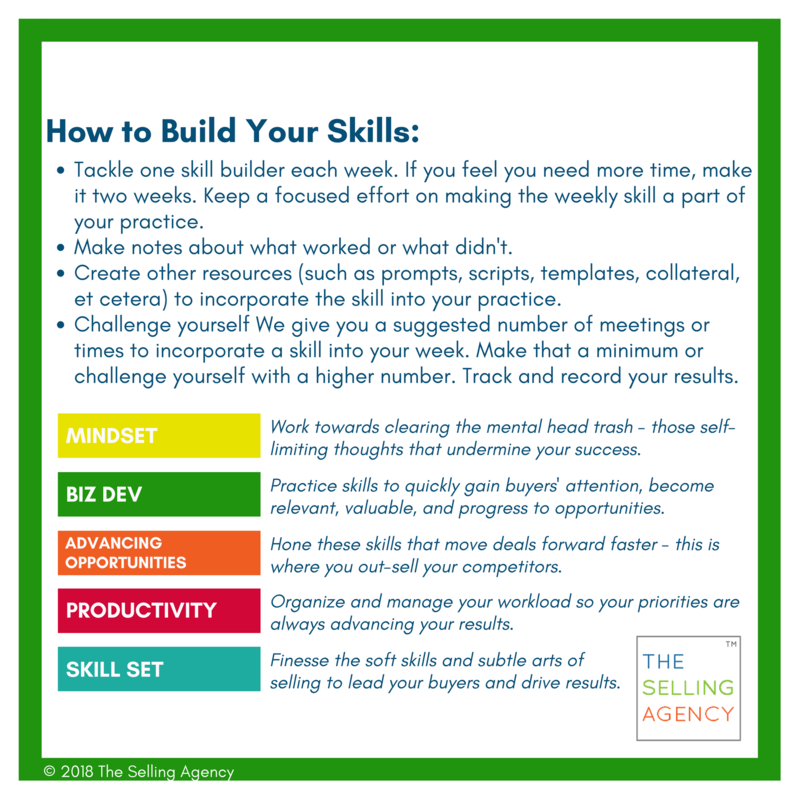 · SKILL SET: Finesse the soft skills and subtle arts of selling to lead your buyers and drive results. There are 26 weeks of skills to make new habits – stacking successful behaviors on top of each other . . . like building blocks to revenue and success!